After settling into her retirement, a Seabrook Island, South Carolina-based homeowner was ready to switch things up and transform her current space into one that she could easily enjoy for years to come. After all, a beautiful and functional bathroom can feel like your own personal spa, or better yet, a sanctuary dedicated to your own pampering and self-care, so, why not go all out? Although it had served its purpose, the small and outdated bathroom didn’t suit the owner’s modern and eclectic style and was in dire need of a makeover. Designer William Towne of William Towne Design was tasked with the bathroom redesign and brought the space to life with only one request from the homeowner: somehow incorporate Vetrazzo’s Umbo White into the new space. “The homeowner saw this product in a friend's bathroom I completed years ago.  When we had our initial concept meeting Vetrazzo was the only product she had as a must-have on her want list,” Towne said. The Umbo White color mix is inspired by the connection between land and sea. Just like a seashell that washes up on shore, no two slabs are completely identical. The white cement base incorporates oyster shell pieces, blue-green glass bottle chips and bits of White Georgia Marble - all placed by hand. Towne drew his inspiration for this bathroom remodel from its beachy address on Seabrook Island, SC. For the redesign Towne envisioned a clean and modern coastal-inspired bathroom with Umbo White’s warm and neutral palette. “Since the homeowner lives on Seabrook Island we loved the subtle mother of pearl and clear glass colors with accents of colored glass reminiscent of walks on the beach,” he said. 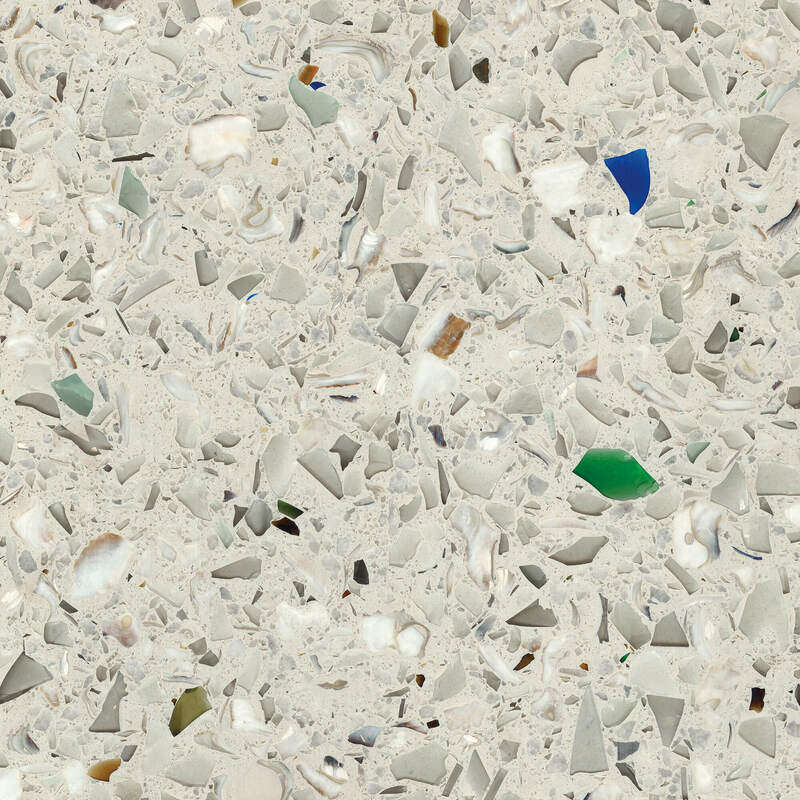 Forgoing the typical monochromatic (and let’s face it, a little boring) off-white neutral countertop, Towne made the colors and glint of the recycled glass surface his anchor for the design. “We used Umbo White as our starting point and then built all the other colors and finishes off from there.” With the vibrant hues of Seabrook Island’s colorful coast as their muse and a shimmering Umbo White countertop to help bring it all to life, Towne and his design team set out to tackle the bigger issue: how to create more space. Towne and his team sourced Vetrazzo slabs from local Charleston, S.C. distributor AGM Imports and worked with the fabricators at Tile and Stone Design Studio. The original bathroom was created from two awkwardly-sized small rooms and closets with little functionality and space. To enlarge the space Towne removed the interior walls and borrowed a few square feet from the master closet to give the bathroom the light and airy quality of a spa with the look and feel that the homeowner really wanted. Overall, the designer’s goal was to make this an attractive multi-purpose space that was more user-friendly and inviting than the original layout. With custom cabinetry by Atwood Architectural Design, Towne added polished nickel plumbing fixtures from Design on Tap for an elegant touch. Towne worked with the craftsmen at Atwood Architectural Design to create a custom floating cabinet that helped open up the space while also offering maximum storage. “What little bit of storage we lost with the reduction in closet space was increased with abundant cabinetry storage in the vanity and two full height armoires,” he said. Keeping the rest of the bathroom materials and fixtures subdued allowed the recycled glass surface of the vanity to standout as an art piece. Its warm, creamy tones and glittering details add a luxe touch that could rival the coastal landscape itself. The result is an elegant space that pays homage to its coastal surroundings, without any beach kitsch. Looking to bring a luxurious neutral to your next project? Order the Vetrazzo neutral sample kit.